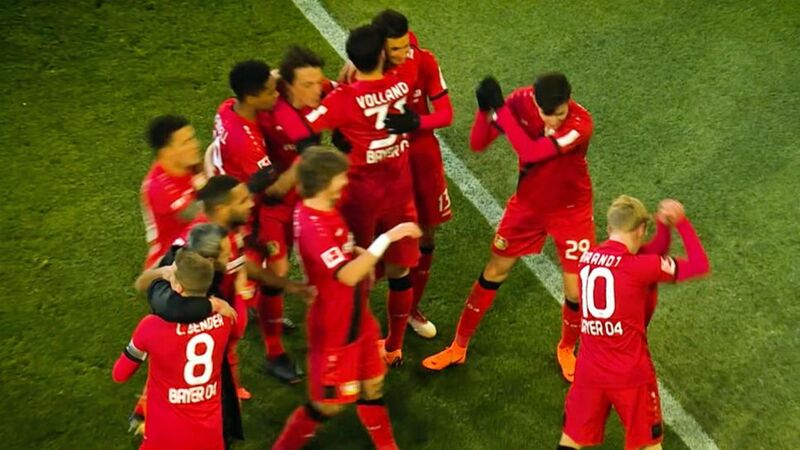 Bayer Leverkusen attackers Julian Brandt and Kai Havertz celebrated the former's goal away to Wolfsburg on Matchday 25 in some style, reenacting a scene from the popular video game Fortnite. After finding the net, the Germany international wheeled away towards the corner flag, where he and Havertz promptly pretended to hack away with an imaginary pick, imitating the gameplay in Fortnite, in which characters chop down wood, stone and brick to gather resources they may need later in the game as they embark on a survival mission on an island about to hit by an impending storm. After the match, Havertz confirmed the celebration had indeed been a nod to the video game, posting a picture of the duo on Instagram alongside the hashtag saying "Volkswagen Arena successfully looted", while Brandt was more succinct in his post on the platform, simply accompanying his picture with an emoji of a pick.